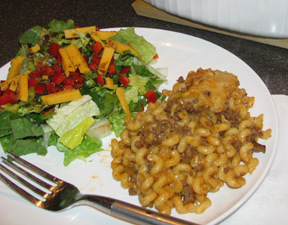 Quick throw together meal that is delicious! Bottom round, a lean, economical cut of beef, makes a fine stew when cooked at low heat. Carrots, onions and potatoes are traditional stew vegetables, but add others as you wish. Substitute your favorite bread if you do not want to make the Multigrain Bread. Easy to prepare and enjoyable to serve, this ham is moist and delicious. The brown sugar sauce is the perfect accent to this slow cooker recipe. This sweet ham is also great to use for leftover ham recipes.